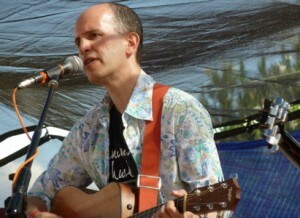 Jim Gelcer is an award-winning and internationally acclaimed musician and composer. His love of music and yoga naturally led into the world of kirtan, where he is now in demand as a leader and has just released his first album, Bhagavan. Jim artfully combines traditional kirtan with modern influences like jazz and world music into a unique blend unlike anything else. What happens when you combine a devotional soul with a pop music sensibility? At one of Jim’s live kirtans you might hear mashups of mantras and just about anything from Leonard Cohen to Bob Marley, Bill Withers, or even Black Eyed Peas. He is currently working on a followup album with producer Ben Leinbach (Jai Uttal, Deva Premal, Snatam Kaur).